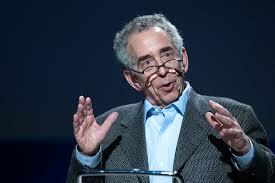 During his TED Talk program, Barry Schwartz makes a passionate call for “practical wisdom” as an antidote to a society gone mad with bureaucracy. He argues powerfully that rules often fail us, incentives often backfire, and practical, everyday wisdom will help rebuild our world. He studies the link between economics and psychology, offering startling insights into modern life. Lately, working with Ken Sharpe, he’s studying wisdom. In his 2004 book The Paradox of Choice: Why More Is Less, Schwartz tackles one of the great mysteries of modern life: Why is it that societies of great abundance — where individuals are offered more freedom and choice (personal, professional, material) than ever before — are now witnessing a near-epidemic of depression? Conventional wisdom tells us that greater choice is for the greater good, but Schwartz argues the opposite: He makes a compelling case that the abundance of choice in today’s western world is actu ally making us miserable. Schwartz’s previous research has addressed morality, decision-making and the varied inter-relationships between science and society. Before Paradox he published The Costs of Living, which traces the impact of free-market thinking on the explosion of consumerism — and the effect of the new capitalism on social and cultural institutions that once operated above the market, such as medicine, sports, and the law. Here is a direct link to his TED Talk.